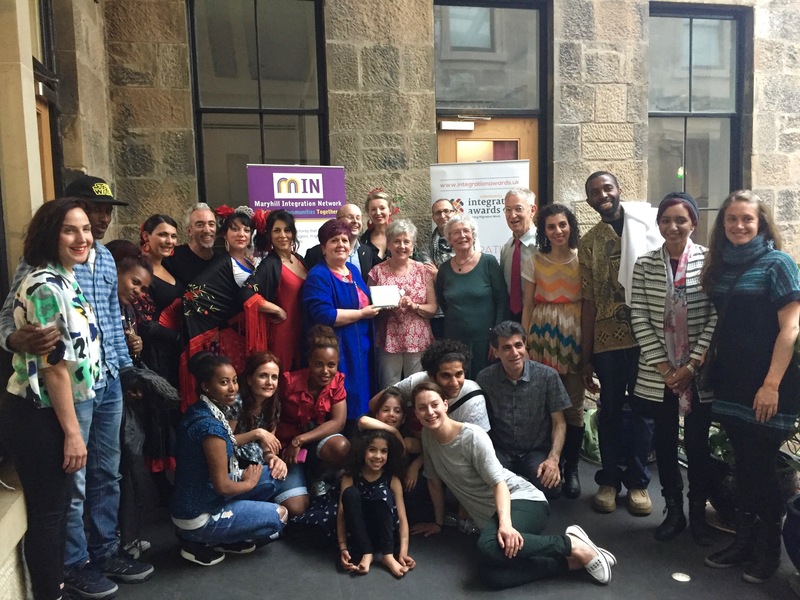 Glasgow based Maryhill Integration Network (MIN) wins the 2016 Community Integration Awards presented by MigrationWork. Leading the way in refugee and migrant integration, MIN brings communities together through arts and cultural projects, offering participants a chance to learn new skills, make social connections, and share experiences, helping to improve their lives and the life of the community. Selecting the winner from so many fantastic nominations we received was not easy. They are all making a big difference to people lives and communities that they live in. What clinched it for MIN was their holistic and innovative approach to community participation. 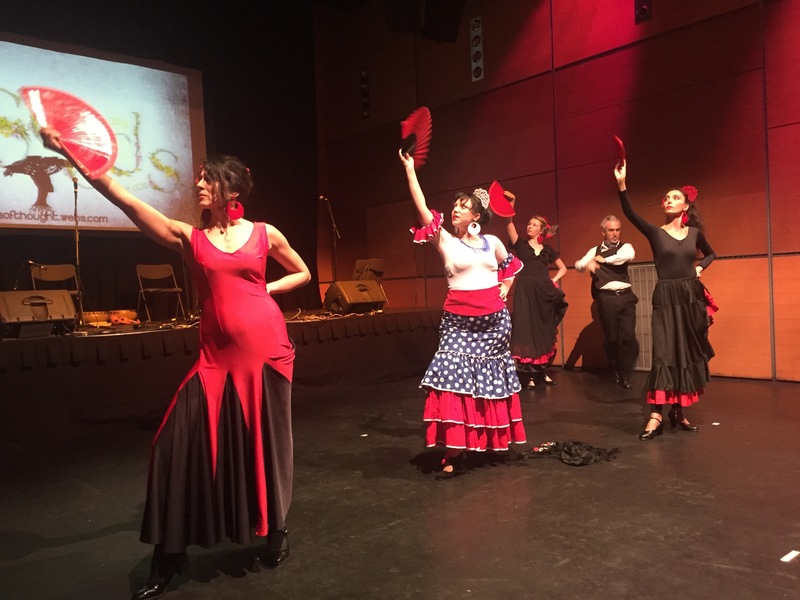 Their use of art as a tool for social integration is excellent and allows people from different backgrounds and cultures to connect. Their work is migrant and refugee driven, but focuses on collaboration with other stakeholders in the local community. The impact they have on the locality is inspiring, effective and impressive. Maryhill Integration Network is a wonderful project, full of joy and energy, A truly fantastic display of community integration in action. 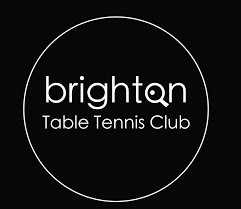 The Brighton Table Tennis Club is an outward facing and open project that works with everyone but reaches out to the most deprived and vulnerable, with a strong commitment to promoting diversity. Originally serving kids from white British working-class communities, the Club has since 2014 – working with social services and schools – drawn in young people from the city’s fast growing population of refugees and migrants, so they now comprise around 40% of its membership. Beside a safe space to play, compete and socialise with ‘host’ community users, these refugee and migrant young people find in the Club a chance to achieve sporting recognition and share responsibility for running it. Positive experiences of diverse Club life mean British-born members can become ambassadors for tolerance and diversity in their communities. Suzanne Bearne’s “The global tech community tackles the refugee crisis” on the Guardian Media & Tech Network has won the media award for its inspirational reporting of innovative initiatives that use digital technology to support the integration of refugee newcomers. Speaking to an audience across the tech sector, Suzanne Bearne makes clear their potential role in tackling the challenges of forced migration. 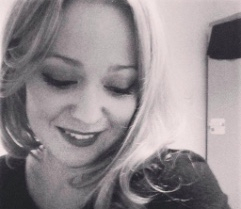 Her article shows how digital solutions can help at every stage from locating accommodation for the destitute to relaunching professional careers. Emphasising the need to share ideas across borders, it highlights some actions that create active roles for refugees themselves, reminding us that their arrival can unlock new ideas and resources within those communities and ‘host’ society alike.